Suitable for 4 – 14 people. 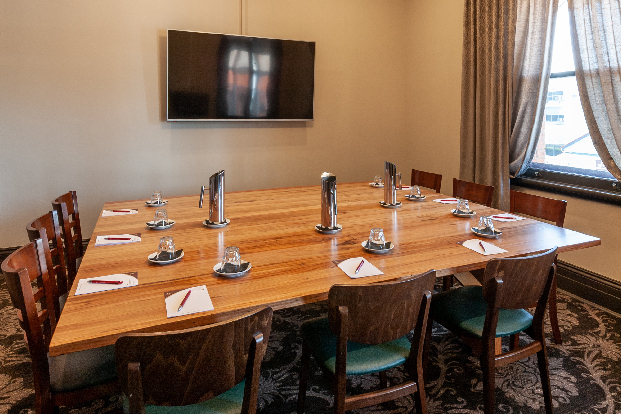 The newly-renovated Annerley Room is one of the RedBrick Hotel’s three private function rooms. This intimate space offers guests a secluded area to entertain or conduct business. The Annerley Room is available for private dining experiences, offering the best of the Hotel’s delicious cuisine from our extensive restaurant menu. This room is perfectly set up to host small corporate meetings where guests are encouraged to conduct business while enjoying an assortment of scrumptious platters. This gorgeous room is named after Annerley Road, which the RedBrick Hotel has called home since 1890. 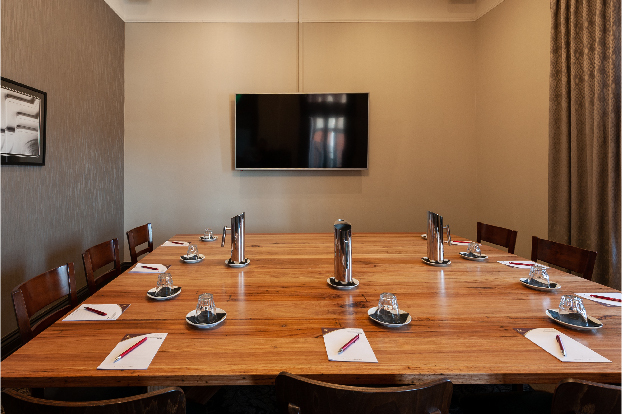 The Annerley Room is equipped with full inbuilt AV, air-conditioning and free high-speed Wi-Fi for guests. 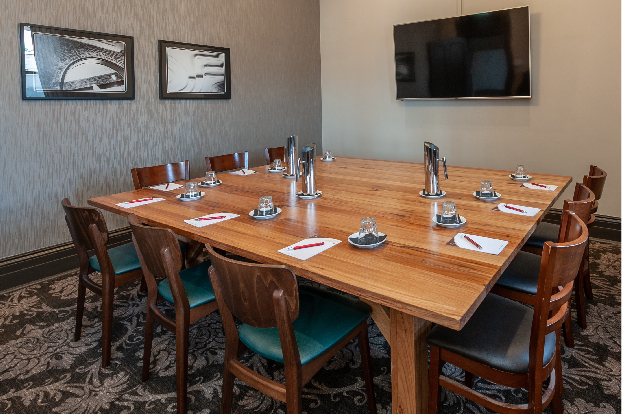 Our private function rooms make planning your next board meeting, or a special celebration easy. Speak to our dedicated team to organise your event with us. View a full copy of our catering, platter, plated and canape options available.